Earlier this summer, we learned that Bob Jones University had been granted candidacy status for accreditation by the Southern Association of Colleges and Schools Commission on Colleges (SACSCOC), as we had long anticipated they would. This granting of candidacy status opened a narrow window of opportunity for public comment on the merits of BJU being granted accreditation by that association. The Board of BJUnity believes there are ongoing egregious violations of students rights (under Title IX, FERPA, and other laws) at BJU, and we also have other concerns about academic freedom and freedom of concscience at Bob Jones University, and so I commissioned an Accreditation Task Force with the board’s advice and approval to address those concerns by preparing a public comment to register with SACSCOC. That Task Force, chaired by Michael Smith, is Michael Smith, Keturah Bixby, Lance Weldy and me. I’m so thrilled to have such a capable team to undertake this task and very grateful for their excellent work. The Task Force identified a crucial component of our public comment strategy as inviting, encouraging, and assisting members of the public from within our constituency and beyond to make their own public comments to SACSCOC. If you share similar concerns to those we at BJUnity have expressed, we hope you will consider making a public comment during this period. We have developed a toolkit to help you understand and navigate what might otherwise be a daunting and bewildering process. We hope you will find it to be helpful in preparing your comment. Please share the toolkit as widely as you can. The window for public comment closes on August 30, 2016 and all comments must be received by SACSCOC President Belle Wheelan by that date and they must be mailed (not e-mailed) to her at SACSCOC (we recommend a target mailing date of August 25, depending on where you live). 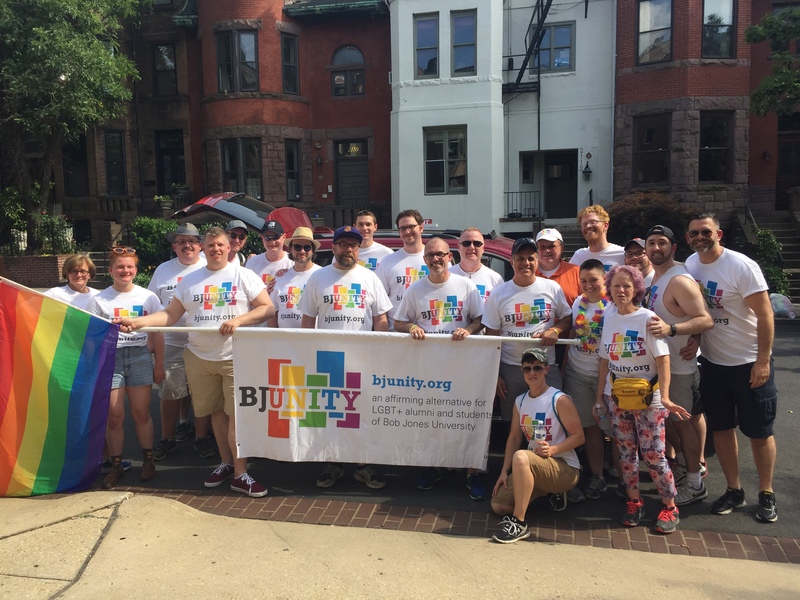 BJUnity’s Accreditation Task Force will be preparing its own extensive public comment documenting areas of concern that we have identified, but it is crucial that as many people as possible file their own public comments. Your public comment is your opportunity to express your concerns in a forum where BJU will have to take them to heart: whether or not they choose to address them, they will receive a copy of your comment and be asked for a response by the committee that oversees their candidacy and is tasked with determining whether BJU should be accredited. The What in the World BJU page has also published some resources to assist you. You can find them here: http://wutbju.tumblr.com/post/148344247495/in-the-sacscoc-principles-of-accreditation-you Please let us know if we can be of any assistance to you as you prepare your public comment. The folks at BJU love to be “Persecuted for Christ” which they claim whenever they do not get their way. So please oblige them in this regard: Deny the accreditation they seek so they can tell the faithful how, once again the world is out to get them and destroy that which they stand for blah blah blah. Unfortunately, your comment here is not likely to be read by the folks at SACSCOC. If you’re interested in making this same comment to them, our toolkit can be very helpful.